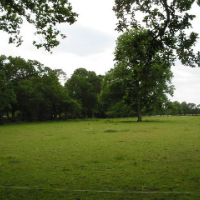 Tetlow King Planning (TKP) provided expert affordable housing evidence at a Section 78 appeal Inquiry which was instrumental in the Inspector allowing the appeal for up to 90 dwellings adjacent to the settlement of Burghfield Common in Berkshire. The appeal was originally against the refusal of 129 dwellings but revised plans submitted during the appeal process reduced the number of dwellings proposed to 90 units. Thanks to the evidence provided by TKP, Inspector Kevin Ward considered that the 40% affordable housing provision (equivalent to 36 affordable homes) would make “a significant contribution towards meeting needs in the area” and that there was a “clear need for affordable housing”. West Berkshire Council challenged the Inspectors decision with the challenge heard before the Honourable Mr Justice Supperstone. Mr Justice Supperstone however agreed with the Inspectors findings and dismissed the challenge, leaving the client free to develop the 90 dwellings. © Image copyright Darren Smith and licensed for reuse under this Creative Commons Licence.